Spicejet's flight yesterday between Dehradun and Delhi was special. The flight was powered by a blend of 75% air turbine fuel and 25% biojet fuel. This was a first for the country which is looking for ways to cut down fuel costs.A blend of 25% of bio jet fuel and 75% of aviation turbine fuel (ATF) was carried in one of the two engines of the plane, while the other engine carried only ATF. International standards permit a blend rate of upto 50% bio fuel with ATF. As Kerala struggles to get back on its feet in the wake of the massive damage wrought by the worst floods in nearly a century, the state's Chief Minister Pinarayi Vijayan yesterday urged Malayalees across the world to pitch in with a month's salary. For those who can't afford to donate a full month's salary at a go, Vijayan suggested donating three days' salary for a period of 10 months instead. The Allahabad High Court (HC) yesterday refused to provide relief for privately-owned stressed power projects from the Reserve Bank of India's February order. The RBI circular directed lenders to undertake insolvency resolution of defaulting companies within a strict timeline. The court has, however, allowed the affected companies to try the legal route for individual grievances as reported by Business Standard. Flying of Remotely Piloted Aircraft System (RPAS) or in common parlance, drones, will be legal across India from December 1. The Ministry of Civil Aviation has finalised a national drone policy, and has fixed parameters - including height - for drone flights. From the outset the policy outlines No Drone Zones. The regulation defines "No Drone Zones" as areas around airports, near international border, Vijay Chowk in Delhi, State Secretariat Complex in state capitals, strategic locations, vital military installations and such.Owners and pilots will have to be registered, and permission will be required for each flight. Users will need to apply for permission on an app and digital permits will be given instantly through an automated process. During daytime flights, drones can be flown to a height of up to 400 ft.
Crisis-ridden Jet Airways on Monday reported a massive loss of Rs 1,323 crore for the April-June quarter as high fuel prices, a weakening rupee and low fares battered the finances of the Naresh Goyal-led airline. 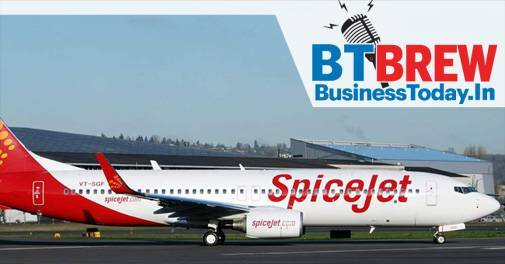 This is the second consecutive quarterly loss for the airline which had posted a profit of Rs 53.50 crore in the same quarter last year. Global investment bank Goldman Sachs today said it has appointed former RBI adviser, Prachi Mishra, as the Managing Director and chief India economist. Prior to joining Goldman Sachs, Mishra was the Deputy Division Chief of the Western Hemisphere Department at the International Monetary Fund (IMF). Before that, she headed the strategic research unit at the Reserve Bank of India from February 2016 to May 2017. She was also a specialist adviser at the RBI between November 2014 and February 2016. Telecom major Airtel on Monday said it has partnered with US-based Netflix, under which its users will be able to pay for the subscription of the video streaming service as part of their postpaid mobile and broadband bills. Subscribers of select Airtel Postpaid and V-Fiber Home Broadband plans will receive a three-month Netflix subscription for free, Airtel said.